In the modern day, we have a vast range of options that we can choose from when it comes to adding sound to our television setup. The better the sound, the more immersive the experience is when watching movies, catching up on your favorite television series, or when playing a few music videos. Just as the number of options available for adding sound increases, so does the options to connect these speaker systems to our televisions. With soundbars being such a popular option, but some televisions not providing adequate support for the HDMI technology required by many of these soundbars, we thought it would be a good idea to consider a few alternative options that you have when it comes to setting up your new sound bar and connecting it to your television. 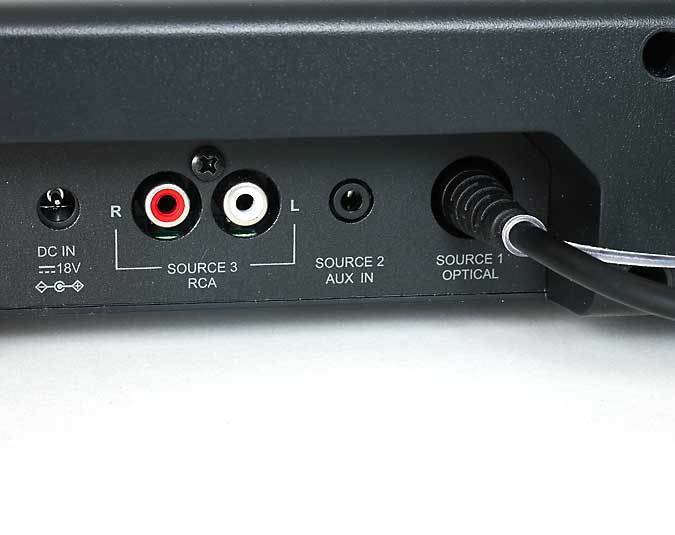 To connect your soundbar without using HDMI you really have 4 options: Digital optical cable, AUX connects (3.5mm line), RCA, or the headphone jack. 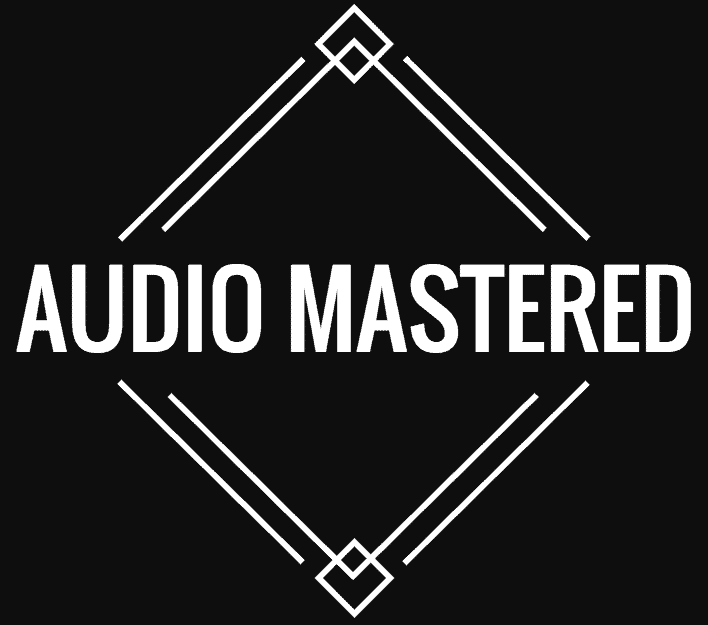 I recommend you use the digital optical cable if possible – this connection provides you the highest quality audio. If this isn’t possible, your next option should be RCA, followed by AUX connections (3.5mm.) Newer soundbars can also be connected to your T.V. using Bluetooth, but this also requires a newer T.V. A digital optical cable is probably one of the most popular options that you can choose from, apart from HDMI, of course. This type of cable has a connector that is square-shaped and connects to both the speaker and your television. It should be noted, however, that not all sound bars will have a digital optical output port, so be sure to look for such a port before you invest in a digital optical cable. An alternative to a digital optical cable would be a digital coaxial cable. 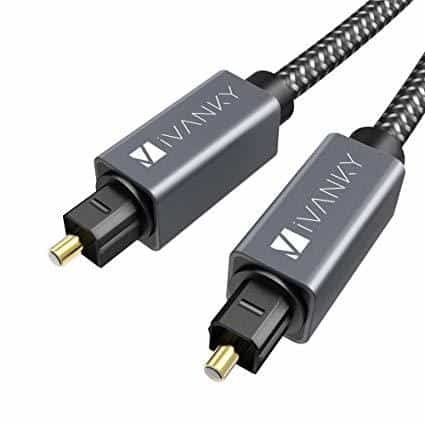 This type of cable is similar in many ways to a digital optical cable, but the connectors that are used in the sound bar and your TV are round instead of square-shaped. When you compare a digital optical cable and a digital coaxial cable, it is important to note that the optical option is a more preferred method. With a digital optical cable, electrical signals sent by the television will be converted into optical light. The optical light is then sent through the cable to the connector that is linked to the sound bar. At this point, the optical light is then converted back into the original electrical signals that were emitted from the television. With this type of technology, a reduction in electrical interference is usually possible. At the same time, however, the difference is so small that most people will most likely not even notice this. Thus, whether your soundbar and TV support digital optical connectors or digital coaxial connectors, the result will usually be very similar. Some soundbars on the market will come with support for a 3.5mm jack. In this case, you can connect an appropriate cable to your TV’s 3.5mm Line Out port and then to the sound bar. Now, it should be noted that a 3.5mm cable is not capable of transferring digital sound. Instead, analog signals are used to deliver the sound from the TV toward the soundbar. With this in mind, it is important to consider the fact that the sound will not be as good compared to using a digital solution, such as HDMI, or a digital optic cable. 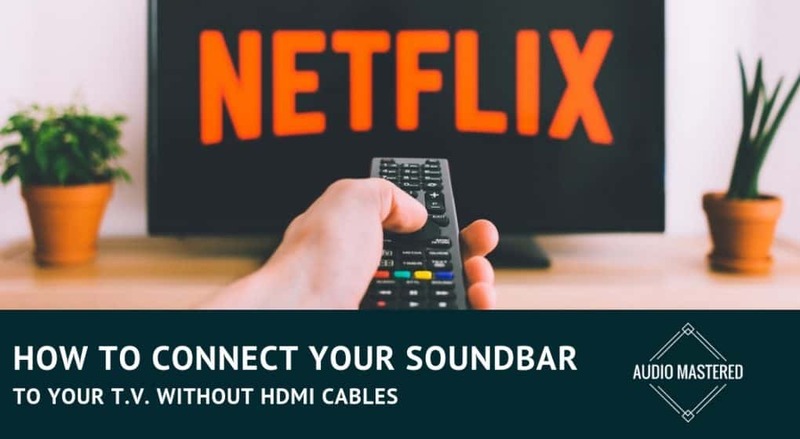 Still, this is a useful option to know about if you are looking to connect your sound bar to your TV, in cases where a digital optical cable and HDMI might not be appropriate options for you. Note that you should look for a connector on your TV that reads “Line Out” – plugging this cable into the headphone jack of your TV will yield different results compared to the action Line Out jack. RCA is another useful option that is often considered to be equally effective as connecting a 3.5mm cable to the Line Out port on your TV. RCA is a very popular option for connecting a large variety of devices to a television, including old video machines, and even some of the more modern DVD and Blu-Ray players. You will only need RCA cables with red and while ends. 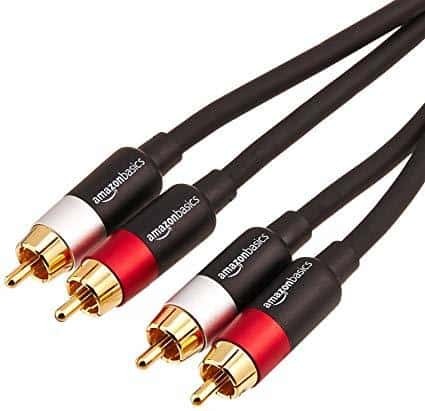 What many people do not realize is that the same RCA cables can be used in order to connect a sound bar to a television. With RCA cables, sound quality will be very similar to what you will achieve when you decide to use the Line Out port on the TV. The signals are not sent through digital signals, but rather also through analog signals. Thus, you will not get that full surround sound experience, but this is still a valid method of connection if the other methods that we have discussed here do not work for you or the appropriate ports and cables are not available. With RCA cables, you will require the red and white connectors. On your television, the cables will go into the color-appropriate ports – white into the white port and red into the red port. The same goes for the soundbar. Note that not all sound bars do have an option to connect via RCA. The last resort would be to use the headphone jack on your television. Sure, this will not produce the same quality of sound as any of the other options on the list that we have discussed here, but it is an option that you should keep in mind in case the other methods we covered does not work for some reason. If all of the other options do not seem to work for you, then connect a standard 3.5mm cable to your soundbar and then connect it to the headphone jack on your TV. When you do use the headphone jack route, be sure to adjust the sound settings on your television. You will most likely have to do some adjusting in order to get the sound to an enjoyable level. Modern T.V.s will sometimes be able to output the audio to Bluetooth. This hasn’t been possible in the past because the latency of Bluetooth was so bad that there would be noticeable lag in the audio. However, with aptX codec you can now use Bluetooth to transmit sound lag free! If you want to upgrade you soundbar you can check out my favorite soundbar in the under $200 price range here. If your T.V. doesn’t have Bluetooth output but your soundbar has Bluetooth input you can always use a Bluetooth transmitter for T.V. to make the connection. They are reasonably priced and easy to set up! Soundbars offer a great addition to an existing sound setup for your television or can be used as a standalone sound option and still provide you with an immersive experience. Unfortunately, not all televisions support the appropriate HDMI technology required by a sound bar to work effectively. Luckily, there are other ways to get the connection up and to ensure your sound bar works the way it is supposed to work – providing you with a great experience no matter what is playing on the TV.